The word entrepreneur today is often overused. However, when you look at the story of Bill Vis, his credentials and what he has achieved, it is most certainly a fitting adjective. 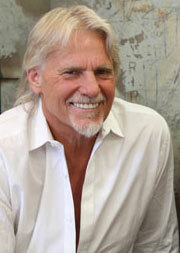 Bill is the pioneer of franchising home services in Australia; being the first to franchise in the industry. His company, V.I.P. Home Services, launched in 1979 and experienced rapid growth throughout Australia and New Zealand. Inducted into the Franchise Council of Australia’s ‘Hall of Fame’ in 2003, Bill remains a key figure in the franchising industry. Bill is still very much involved in the day to day running of all divisions of V.I.P., but also works on a number of innovative projects including the development of business through partnerships and strategic alliances with sporting institutions, large corporations and national bodies. Today, Bill is known for his creative approach to problem solving, his motivational and energetic speaking and his visionary approach to business practices.